One Day at Pawtuckaway - Salt Pump Climbing Co. When the Salt Pump crew hits Pawtuckaway, they try hard and laugh often in equal measure. 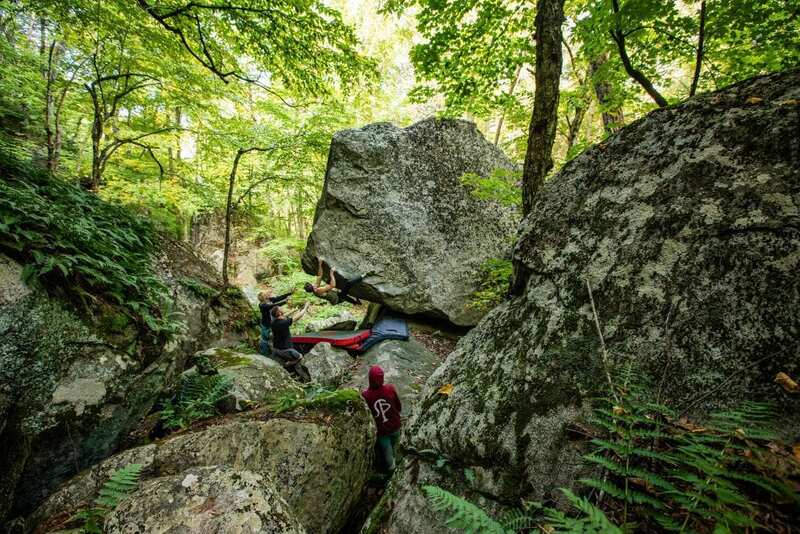 Each fall, as the leaves begin to drop and the air starts to chill, the razor sharp boulders of Pawtuckaway State Park in Nottingham, New Hampshire, lure bloc-hungry climbers from near and far. 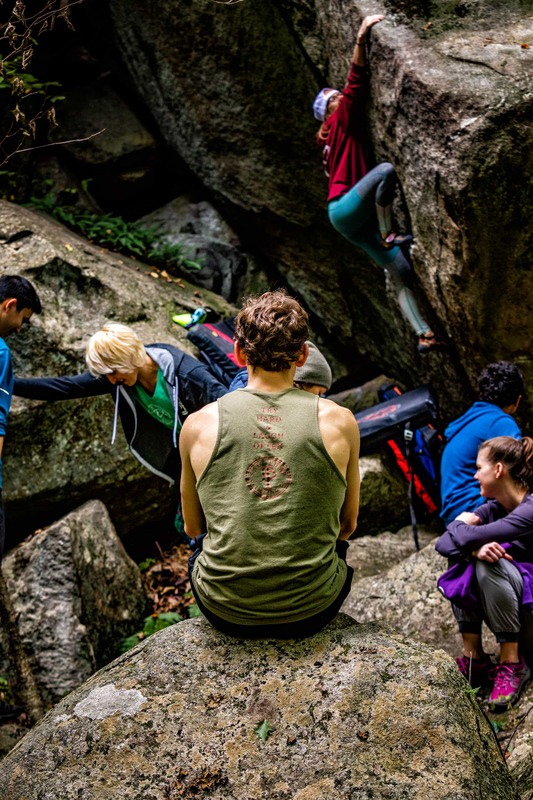 When a youthful crew of some of Salt Pump's best talent headed to Pway one day this past October, we asked world-renown boulderer and photographer Angie Payne to tag along and document the action. Here's the rundown of some of their favorite problems. Michaela says: "Really cool first few moves! 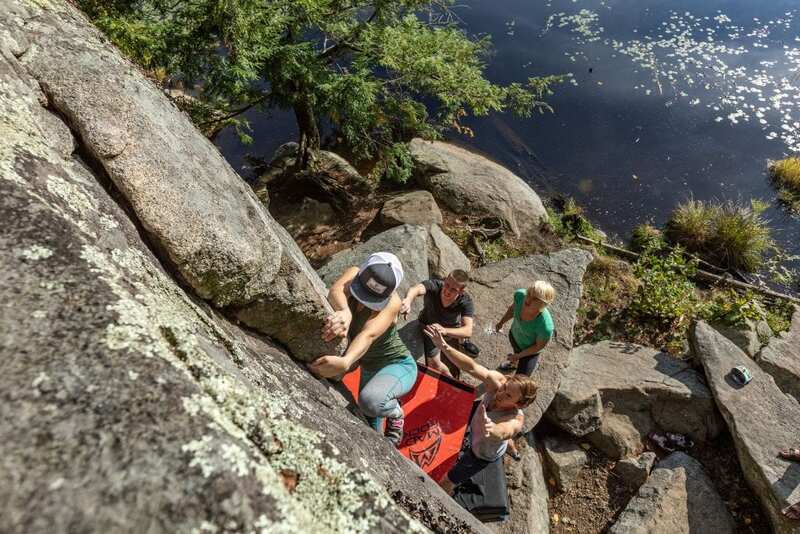 The holds are unlike anything you’d normally find in Pawtuckaway, and would be more at home in a gym. 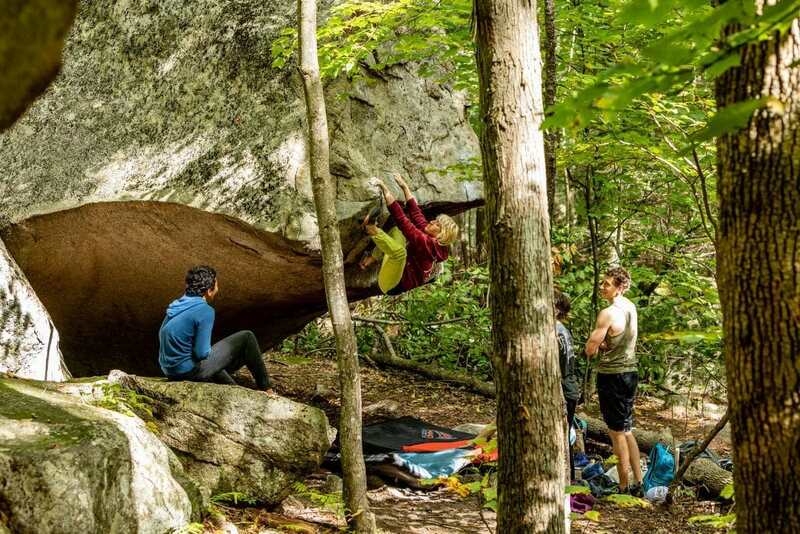 Powerful shoulder moves, followed by a little heady top-out, and the best down-climb in the park: the tree shimmy." Aaron says: "Lots of pockets, it takes some biceps. I remember the down climb most of all, you have to shimmy down this tree!" Alison says: "The first move is so freaking hard, you have to engage your core all the way, completely. I got on the starting move a few years ago - it took me so long to send it. One of the hardest problems I've done!" Cavan says: "It's sloppy and hard at the beginning - you have to do this low sit start. You gotta squeeze to get off the ground, then you make your way out and start to get higher and higher... It turns into a highball, and you have to hold it together at the end. Michaela says: “Numb Thumb was a bit of a taste of home for me. The problem climbs a lot like gritstone; a blunt lip with a distinct lack of holds, requiring a good deal of body tension and a touch of levitation just to stay on the rock. The start is a bit of a bum-dragger but it’s worth avoiding the danger dab for such high quality movement. Beware the jungleous down climb!" Cavan says: "Leave it to beaver has classic good moves, crimps, and you gotta be able to lock off. The best part is there's this beautiful view of a swamp... err, pond, let's call it... right behind the boulder. Robbie says: "It's technical at the beginning! You really gotta rely on a heal hook while you're on a really bad crimp. And after that, there are some power moves and the op out isn't too bad but still kinda hard if you are pumped." 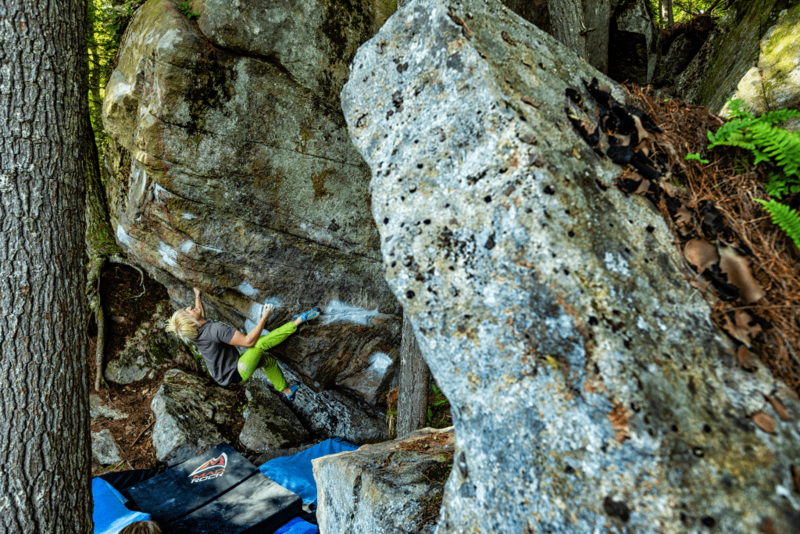 Alison says: "Overlooked is one of my favorite climbs in the entire park. It's so good. I got on it years ago and thought it was impossible. I didn't know how to do any of the moves. It felt so hard. Then I tried it a couple of years later and I was like "Oh it's not that hard - I just was weak and didn't have core strength."